Jim Farley: "If you pick the wrong projects, it doesn't matter how hard everyone works; things could -- and have -- gone south." 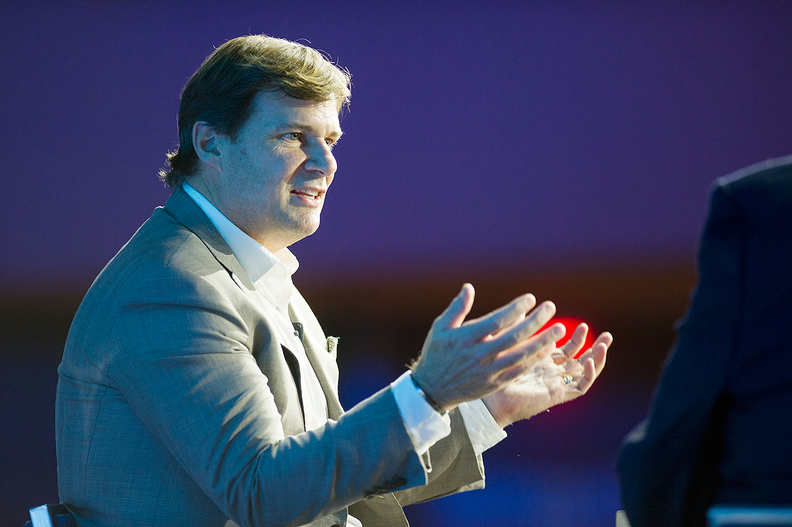 DETROIT — The budding alliance between Ford and Volkswagen Group eventually could include a vehicle program in the U.S., said Jim Farley, Ford's president of global markets. The two sides on Tuesday announced a broad partnership under which Ford will build commercial vans for VW in Europe and midsize pickups in South America, Europe and Africa, among other things. The plans don't include selling any vehicles in the U.S. — at least not yet. "We're still talking," Farley said Tuesday evening at the Automotive News World Congress. He declined to elaborate on any time frame for a potential U.S. deal, emphatically telling reporters that he had "no new news" to share. The two sides also are exploring tie-ups on autonomous and electric vehicle development. Farley on Tuesday evening reiterated that the two companies will not merge and are not seeking equity stakes in each other. "When we did an inventory of all the lessons we've learned as a company on our partnerships and joint ventures, it was a really pithy list and in that was 'pick the right projects,'" he said. "If you pick the wrong projects, it doesn't matter how hard everyone works; things could — and have — gone south." Farley said both companies' product cadence matched up well. They anticipate launching the vans and pickups as early as 2022. "The product timings are perfect for both companies," he said. "What happens next will be based on that criteria." Ford's partnership with VW comes as it seeks to turn around its struggling business in Europe. Ford last week announced plans to cut thousands of workers and eliminate low-profit vehicles. Farley on Tuesday said the VW deal "will help Europe but won't save Europe" for Ford and reiterated the need to restructure now so it can work toward making a profit again. Ford Europe operated in the black for three consecutive years, from 2015 through 2017, but anticipates posting a loss for 2018.